(50% saving) Only 1 left! Only a few left! Only 1 left! Only a few left! Only a few left! 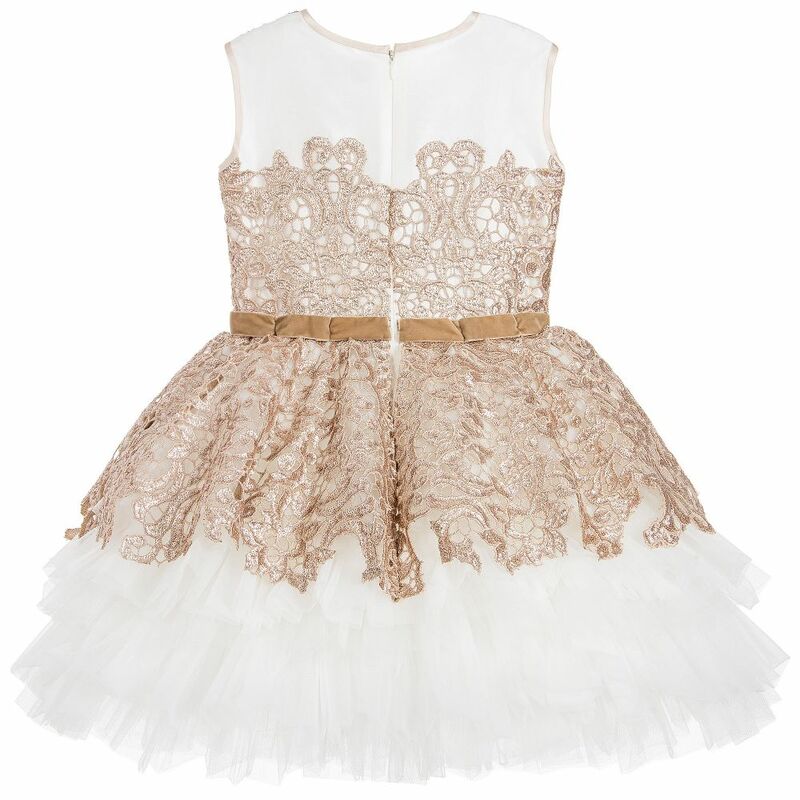 Stunning gold and ivory dress by Lesy Luxury. The silky, ivory bodice is overlaid in a golden, guipure lace, which is covered in sparkling, goldsequins, and extends to form a peplum. 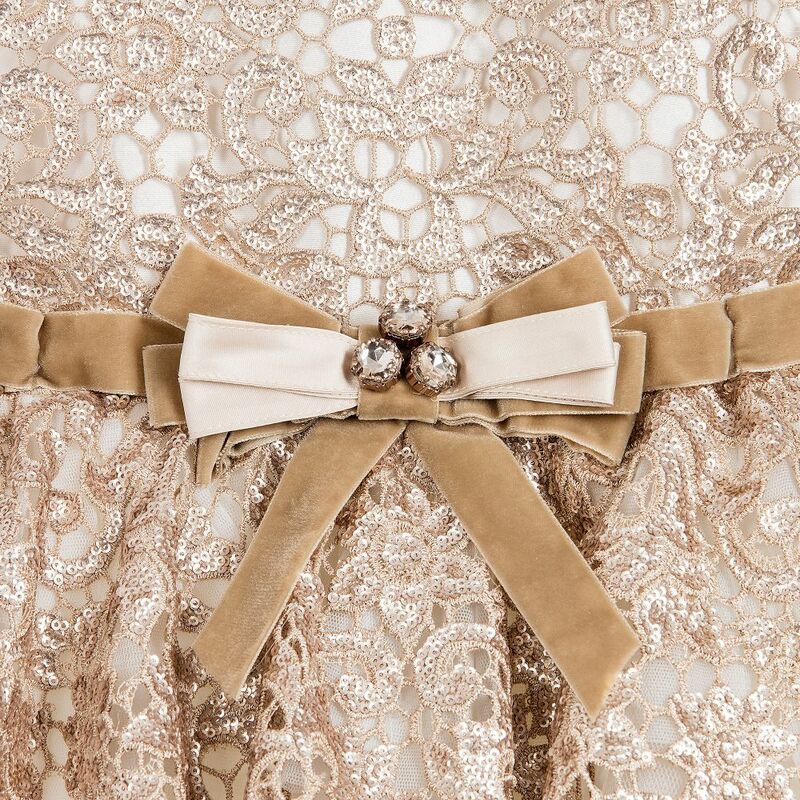 Around the waist is a beige, velvet waistband with a bow embellished with large diamanté. 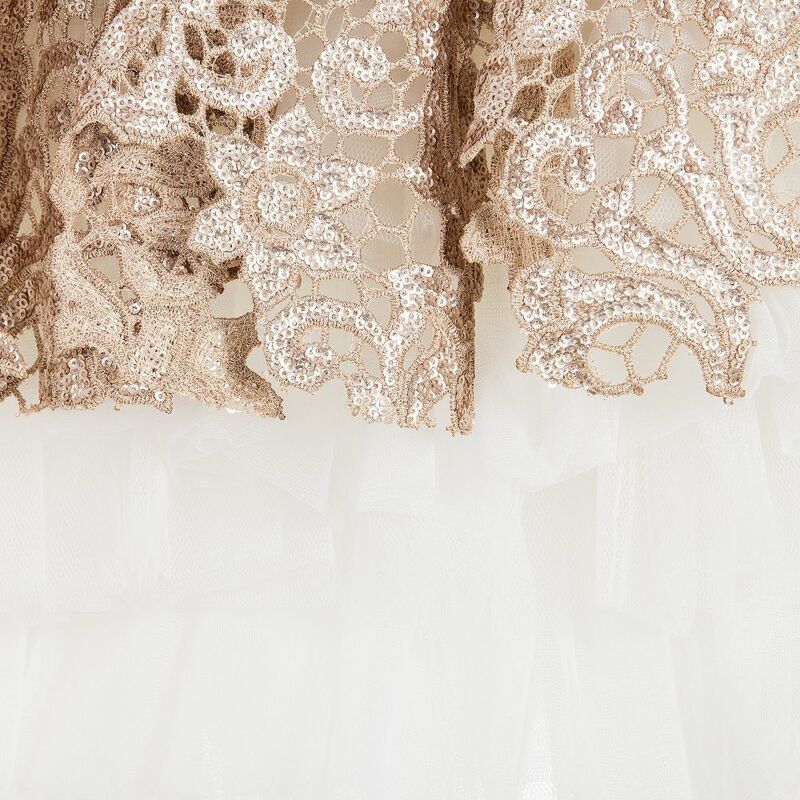 The skirt is made up of many layers of soft ivory tulle, giving a wonderfully full shape. 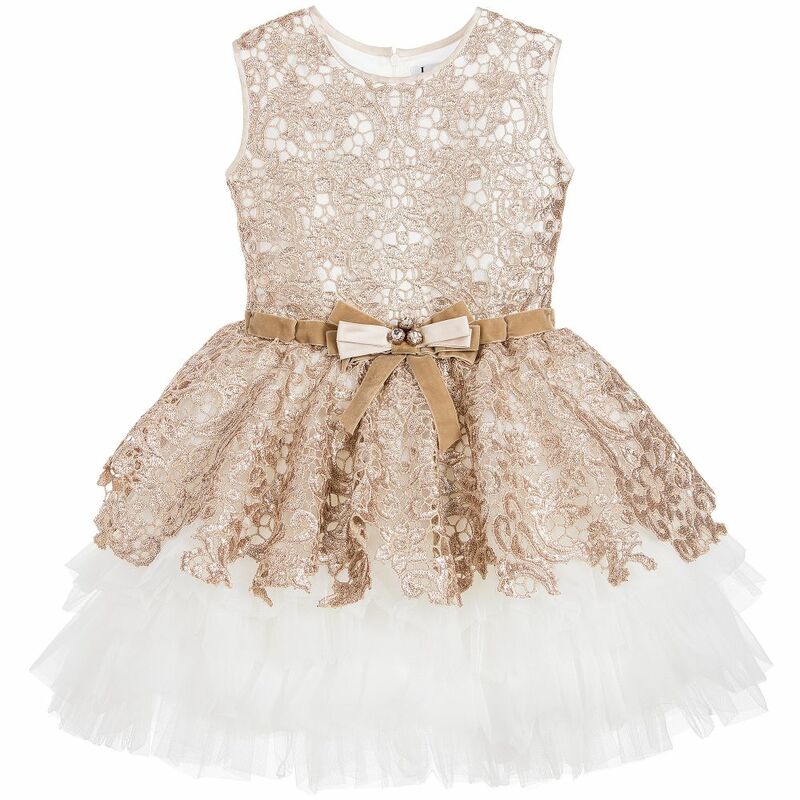 Perfect for any special occasion, it would look fabulous with a gold headband and gold sequinned or patent shoes.